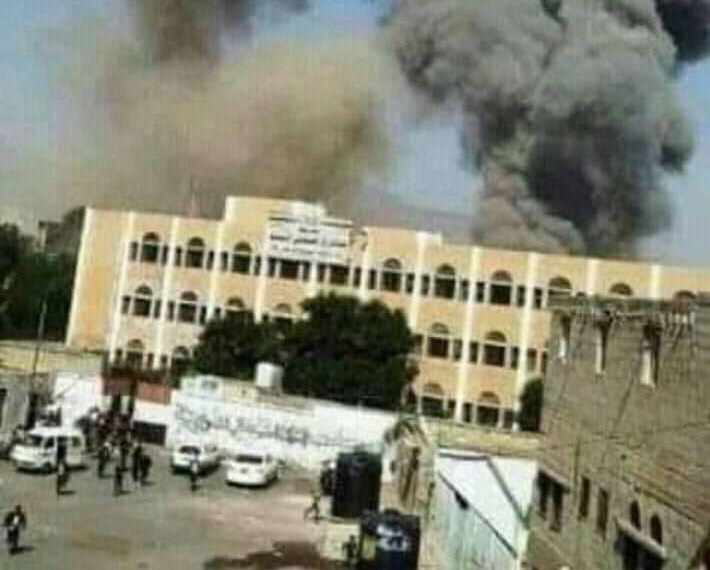 Flames are to blamefor Sunday blast in Sana'a, according to a student of an affected school in the nearby of the incident that claimed the lives of 14 people, including schoolchildren. "Me and my colleagues, at the end of school day, heard high noise for people near the school," the 17-year schoolboy told Debriefer on condition of anonymity for security reasons. "I asked a classmate to get out the room to see what was happening, but he chose to stay and finish writing down the lesson,"said the student of the first secondary grade at al-Ahqaf private school. "The people were crying as seeing smokes and flames getting out of one of the three warehouses in the nearby. "From the middle of school building, I heard some lowexplosions, before the large blast pushed me down onto the floor." He safely survived the incident, but his classmate had stayed at class to leave life following the blast. The studentsaid he heard no aircraft hovering before the blast over his school, based in the eastern district of Sawan, but "many airstrikes take place with people in the scene hearing no plane." Other eyewitnesses said water-truck drivers in the nearby were asked by armed men to go fight the fire prior to the explosion and the arrival of the fire truck. "We saw remains of shells and mines near the warehouse following the blast, and beforeHouthi forces imposed cordon around the scene," eyewitnesses living in Sawan told Debriefer. The warring parties have traded blames for the incident that occurred in a residential quarter. However, the student's account highly corroborates claims of the Saudi-led coalition, whose spokesman on Sunday said no airstrike was carried out that day on Sana'a, blaming the rebels for the explosion. The incident was resulted from an explosion at Houthi bomb workshop, spokesman Turki al-Maliki added, claiming that their warplanes had not targeted populated areas.